The Door Industry Journal: Do Your Doors Meet Requirements of Technical Guidance Document Part M or BS8300? Do Your Doors Meet Requirements of Technical Guidance Document Part M or BS8300? Meeting the needs of the disabled when it comes to building design is a legal duty for those responsible for public buildings. But in order to provide a uniform level of access and meet the requirements of Part M of the Irish Building Regulations or British Standard BS8300, how can building owners, Architects and Specifiers ensure that their door closers help enable compliance? A stand alone manual door closer cannot be certified to be ‘compliant’ with Part M or BS8300 requirements as these determine the maximum permitted opening of a complete doorset, thus additional items of hardware and seals may contribute to the opening resistance. 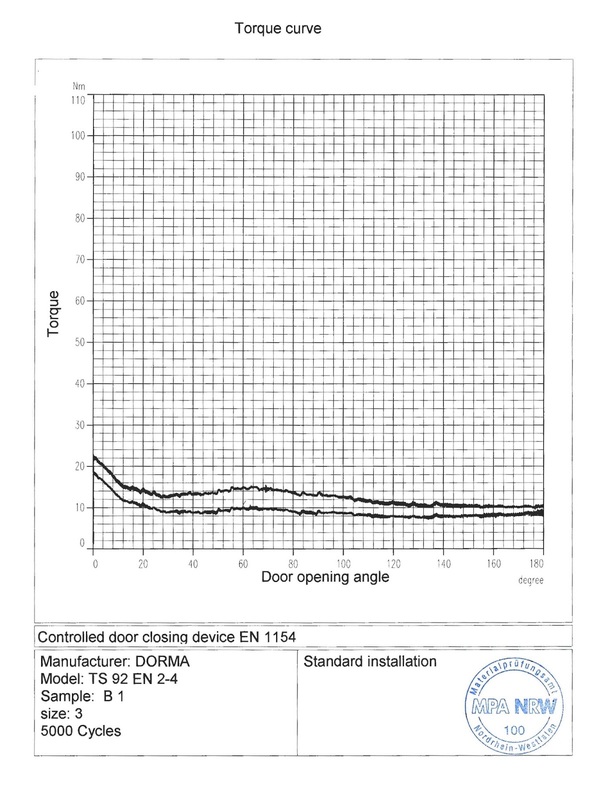 Unless the door closer is Hold Open, Free Swing or Automated, there is no way of stating compliance so it is therefore critical that information concerning a door closer’s performance is made available to those specifying doorsets. 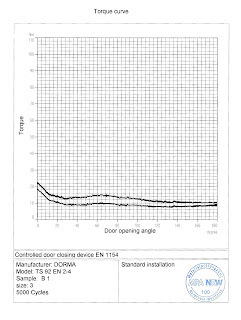 A third party Torque Curve certificate provides the details specifiers and suppliers need to calculate door closer performance. A torque curve shows the efficiency as well as the opening and closing forces throughout the opening and closing cycle. It will ensure performance meets EN3 (the minimum for fire doors) and indicate the tolerances a door closer will allow for other fitted items such as door seals and hinges, and site conditions. For public buildings, it is therefore essential that the choice of door closer and its specific performance is considered to ensure the door closer enables doorset compliance and the building provides independent access for most disabled people, without assistance. Failure to do so can result in legal action whilst also invalidating any building insurance. And with so much to lose, why do some building owners still run the risk by ignoring these requirements? ‘The Which Door Control?’ brochure from DORMA, global leaders in the manufacture of door controls, automatic doors and glass fittings, details the opening force performance for all DORMA closers and the minimum door widths where they enable compliance. The brochure also gives advice on electro-magnetic hold open and free swing devices, helping to ensure the correct product is chosen for each application. DORMA, with its wealth of experience, ensures the correct selection of door closers to meet the requirements of all relevant Irish Building Regulations and British Standards. For more information please visit www.dorma-show.co.uk All DORMA products are backed up by a nationwide team of service and maintenance engineers.